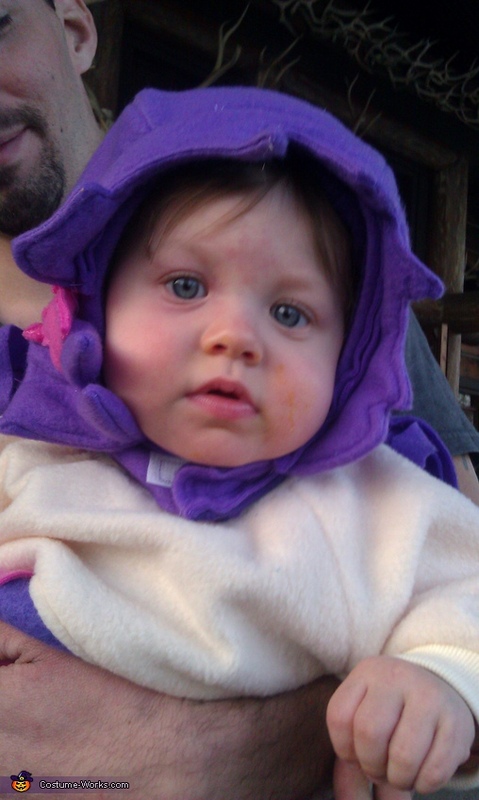 This homemade costume for babies entered our 2011 Halloween Costume Contest. Gwendelyn loves bubble guppies. We decided to make costume of fleece, with bonnet for hair with pony tails.